The name Vulcano is used by more than one group. 1. A Dutch male/female group, who tried several times to enter the Eurovision contest for Holland, but failed to do so. 2. To mount the biography of this band is an honor, therefore in the ones backwards the memory a difficult time where our country passed for one strong transistion social, economic and musical politics, in the Europe appeared the NWOBHM, and also bands appeared that they revolutionized the traditional metal creating a noise more aggressive than Black would be known as Metal, Death Metal. Here in Brazil in the years of 81 and 82 the difficulty was not different was very great. Only that he was not thus that thought Zhema, Pablo Magrão, Carli Cooper when they had created band VULCANO. 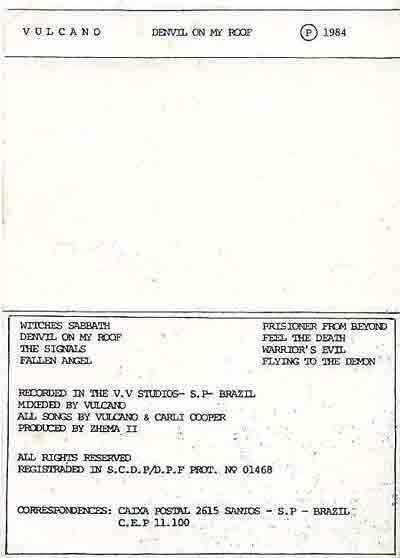 And was thus that the trajectory of this band started who helped to take root and to spread out the metal weighed by this country being considered the first band of black/death of all Latin America, its first register was between 82 and 83 with compact double "On Pushne Namah" in Portuguese that today is a true relic of the Brazilian metal underground, and marks the trajectory of L. Piloni (drums) for the band. Shows had been appearing, but the difficulties were immense, the band had that to produce its proper shows since glue the posters as until mounting the proper structure to touch, but everything had its compensations, this served of force Vulcano to follow it in front and in 84 they launch the demo "Devil On My Roof". 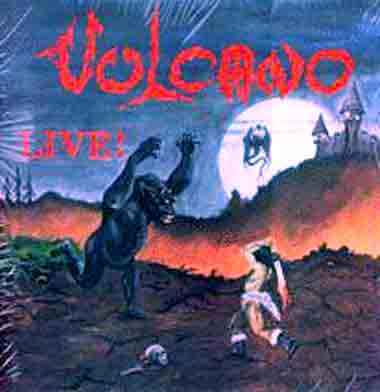 The first changes of formation start to appear and the band had still not obtained to inside to the metal scene from São Paulo, for being of Santos the Vulcano became blunt itself more for the citys near of São Paulo of that in the capital fact this that took the band to record in the year of 1985 the Vulcano Live. Recorded in the month of August in the city of Americana, without any type of sound mix, it was the first record to the metal living creature launched in Brazil and led to I publish all aggressiveness to it of the metal heavy generated by Zhema in the bass, Soto Junior in the guitar, Zé Flávio in the guitar , Laudir Piloni in the drums and Angel in the vocals. 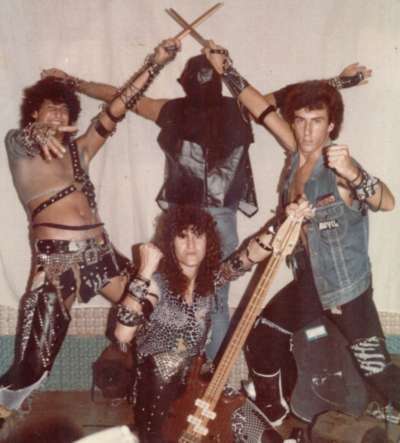 And was with this formation that appeared the first record of black Brazilian metal "Bloody Vengeance" in 1986 shocking the mind of many people. A shady, obscure record with enigmatic, indirect letters and nowadays sounds more current of the one than never. In the years that if follow the band launches the "Anthropophagy" (87) and the "Who Are The True" (88) that it was an shout of revolt to a situation that came being imposed for a media mercenary who did not live the things that happened in underground and wanted that the bands if became more popular, formateds what it would come to happen in 90's. Against this and a situation of things the Vulcano launches in 90 the "Rat Race" and decides to give a stop for the ideas orderly. 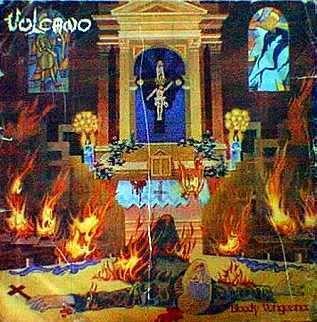 In this period of reflection the Vulcano still made some shows, but nothing of concrete, it is at this time that the recording Cogumelo Recs decides to relaunch in compact disc records of the band and thus the Vulcano retakes its way the band still participates in the year of 2000 of a compilation launched for the recorder with the song Bloody Vengeance. In December of 2001 they are taken of surprise with the death of Soto Jr (guitar), it was a great loss even so went if years of friendship and lived experiences inside of the Brazilian scene underground. 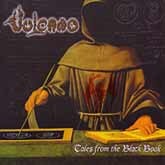 In 2003 the Vulcano gives the return for top and records a new intitled album "Tales From The Black Book", with Zhema (bass), Angel (vocal), Arthur (Drums), Andre (guitar) and Passamani (guitar) in the formation, only launching in February of 2004 which had the problems with the art, this compact disc rescues all the fury of years 80 accumulated by all these years of silences. Bringing in return a called legend VULCANO. With this formation they had launched album Tales From The Black Book. And now the Vulcano finished the record of 2 new soungs, that will be launched in one split with the Nifelheim in Sweden, by I Hate Recs. The current formation is Angel (vocal), Fernando (guitar), Diaz (bass), VX (drums) and Zhema (guitar). And they hope play in your country soon.